Stephen Foster, known as the, father of American Music , whose music has remained popular for over 150 years, has placed an indelible stamp on the American consciousness. 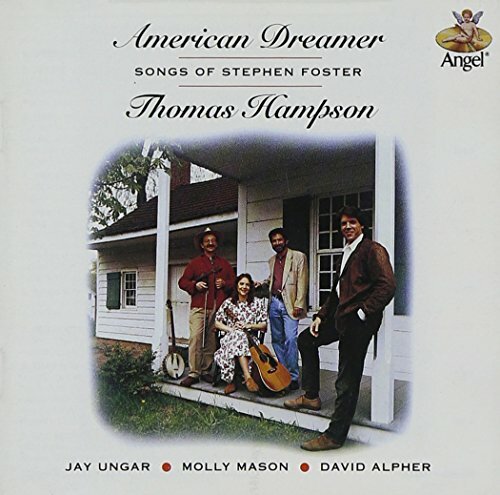 Here, on American Dreamer, celebrated Baritone Thomas Hampson presents Foster's works as they were meant to be performed in simple beauty, accompanied by piano, fiddle and guitar. Included are classics like, 'Hard Times Come Again No More,' 'I Dream of Jeannie with the Light Brown Hair' and, 'Beautiful Dreamer.' Under the musical direction of Jay Ungar, these finely crafted versions of America's greatest songs are a must have.